More than a billion smartphones are sold across the world each year, and because the competition is so fierce, phones at the cheaper end of the scale are getting better. Much better. There is no longer any need to buy the most expensive phone just to get the best and latest features. In our guide to the best cheap phones you can buy, we highlight the ultimate phones that don’t have an outrageous price tag. Why should you buy this: The OnePlus 6T looks the part with a large screen packed into a stylish body, it has plenty of processing power, and it boasts a capable dual-lens camera. Who’s it for: Anyone who wants a flagship smartphone with a near-stock Android experience, at a lower price than the Google Pixel 3. While the $550 starting price means this is the most expensive OnePlus smartphone to date, you’ll be hard-pressed to find a more powerful option at a comparable price. The OnePlus 6T cuts the notch down to a dewdrop for the front-facing camera and shaves the bezels down to pack a large display into a compact body. The fingerprint sensor is in the display and there’s a powerful dual-lens camera on the back. The combination of a 16-megapixel lens and a 20-megapixel lens enables a powerful bokeh effect for blurring the background of shots, which the portrait mode is intended to take full advantage of. The inclusion of optical image stabilization and an f/1.7 aperture enable solid low-light performance. The OnePlus 6T can also shoot slow-motion video and there is a 16-megapixel front-facing camera for detailed selfies. The OnePlus 6T has Qualcomm’s 2018 flagship processor, the Snapdragon 845. It’s the same chip that powers the Samsung Galaxy S9, Sony Xperia XZ3, and the Google Pixel 3 — phones that cost more than $700 a pop — and it even offers more RAM. You get a choice of either 6GB of RAM and 128GB of internal storage, or 8GB of RAM and 128GB or 256GB of storage, though 8GB of RAM is rather excessive. It is, however, worth paying the extra for more internal memory, as the OnePlus 6T doesn’t have a MicroSD card slot. There’s plenty of competition for the OnePlus 6T. Motorola’s midrange offering costs $100 less at $450. While it may not have the fastest processor, it does win out in terms of battery life, because the Moto Z3 Play comes with a battery Moto Mod. That means you should easily be able to make this phone last the weekend on a single charge. We didn’t run into any problems with performance either — it’s powered by the Snapdragon 636 — and of course you have all the other mods to use (though some can be quite pricey). The Asus Zenfone 5Z is also worth a look at just under $500. It has the same snappy Snapdragon 845 processor with 6GB of RAM, a decent camera suite offering a solid portrait mode, and good battery life. The IPS LCD screen can’t match the AMOLED in the OnePlus 6T, but its other compromises are the same: No IP rating and no wireless charging. If your top budget is $500, then it might be your best choice right now. The 6.41-inch Full Optic AMOLED screen has a 2,340 x 1,080-pixel resolution, which looks glorious and will impress most people. You also get Bluetooth 5, which offers faster connectivity and range. There’s also AptX HD Bluetooth for the best wireless audio performance, which is just as well since OnePlus has cut the traditional 3.5 mm audio jack from the 6T. OnePlus’ proprietary fast-charging technology, Dash Charge, provides you with a full day of battery life in just 30 minutes. Speaking of the battery, the OnePlus 6T has a 3,700mAh capacity and can be charged via the USB-C port. One of the biggest draws of the OnePlus 6T is its smooth and accessible user experience. The OxygenOS operating system sits atop Android 9 Pie, and the user interface doesn’t stray far from the stock Android experience on a Google Pixel phone. OnePlus adds in several handy features, including a reading mode, clever adaptive contrast for viewing the screen outdoors, a slide-in shortcut and information page called Shelf, and gestures such as a double tap to wake the screen. The OnePlus 6T is available at T-Mobile, so you can go into stores and check it out for yourself. This is the first time a OnePlus phone has been available on a U.S. carrier. It will also work on AT&T and Verizon if you buy through OnePlus’ website. Downsides include the phone’s lack of an IP rating for water resistance, the lack of support for wireless charging, and the camera isn’t the strongest. But for $550, you’re getting equal, if not better performance, than the Galaxy S9 — without the gimmicks. It’s an astonishingly good value, and a phone you won’t regret buying regardless of your budget. Why should you buy this: It’s relatively affordable for an iPhone, with many of the same specs as the 2017 iPhone X and a strong camera. Who’s it for: Anyone who wants an iPhone, but has limited cash. This is the best choice for bargain-seeking Apple fans who have their hearts set on an iPhone. While it’s the most expensive phone on this list, it’s still our top pick as the iPhone you should buy if you’re on a budget. It boasts many of the same features as the iPhone X, but in an older, more familiar design. If you feel like modern smartphones are getting too big, or you don’t care for the bezel-less trend or Face ID, then the iPhone 8 will suit you perfectly. It has the same A11 Bionic processor as the X and 8 Plus, backed by 2GB of RAM. On paper, that doesn’t sound impressive, but in terms of real-world performance, it’s lightning fast and beats many more expensive phones. 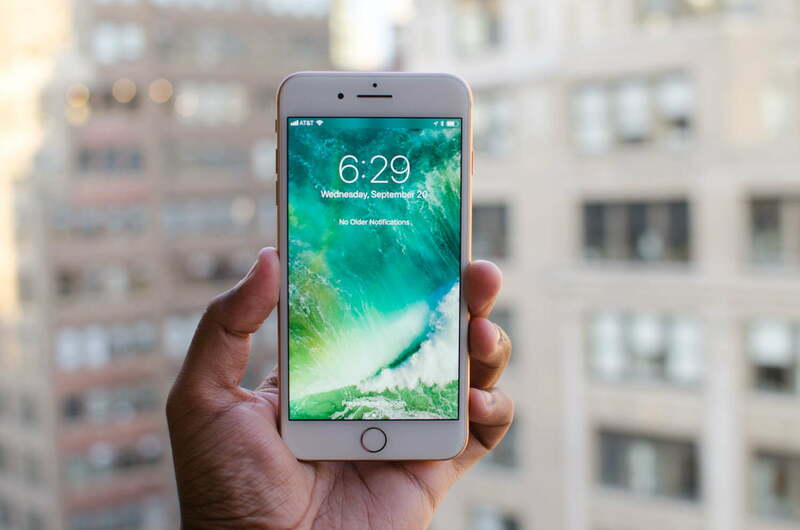 Unless you want to delve into the secondhand or refurbished market, your only cheaper options are the iPhone 7 at $450, or the iPhone 7 Plus, which comes in at $570. They’re both still good devices, especially the dual-lens-camera-toting 7 Plus, which does have portrait mode support, but we think it’s worth paying a little more for the iPhone 8 because the extra processing power will allow it to last a good bit longer. You may also be wondering if you’re spending $600, why not spend $150 more for the iPhone XR? It’s a valid question. If your budget stops at $600, then go for the iPhone 8. But if you can spend just a little more, it’s absolutely worth shelling out for the more colorful iPhone XR. It has the powerful A12 Bionic processor, with Face ID for Portrait Mode selfies. There’s also Smart HDR and an artificial intelligence-powered Portrait Mode on the rear camera that works well in low-light. At $750, this is the best iPhone you can buy. The upgrades provided in the XS and XS Max don’t justify the $250 price jump. There is a great 12-megapixel main camera that takes sharp, crisp, natural-looking photos and has support for Live Photos. There’s a solid 7-megapixel front-facing camera. Sadly, there’s no support for portrait mode. But you do also get Touch ID, Siri, and NFC for Apple Pay. The 4.7-inch screen is sharp and clear, the iOS platform is easy to use, and you get access to an excellent library of slick apps and games. The battery is only rated at 1,821mAh, but it generally lasts at least a day, and there’s support for wireless charging. You can also fast charge this iPhone, but that’s only if you spring for the cable and adapter. There’s 64GB of base storage inside, which is sufficient for most people. The iPhone 8 is also IP67-rated, which means you don’t need to worry if it goes for a dunk. A potential downside? There’s no headphone jack here, but a 3.5mm to Lightning adapter is included in the box. Why should you buy this: The Nokia 7.1 looks like a flagship, but costs hundreds less while still delivering the fundamentals. Who’s it for: Those that have a budget of $350 and simply want the best phone they can buy at that price. The Nokia 7.1 is close to being the perfect budget phone. At a $350 price tag, it’s extremely affordable for most people. The build quality is superb, as the aluminum unibody feels sturdy, though don’t expect the “toughened” glass on the back to withstand cracks or scratches. The 5.84-inch LCD screen makes this phone feel perfectly compact, and it also supports HDR10 — a feature not found in many budget phones — which means you can get excellent video quality when watching HDR movies and shows in supported apps like Netflix and YouTube. There’s only a single bottom-firing speaker, but it gets surprisingly loud and sounds good, and a headphone jack is present. The best part of the Nokia 7.1 is software, because it runs Android One. It will get fast version updates for two years, and security updates for three years, which is rare for most budget phones. It has already been updated to Android 9 Pie. The interface is stock Android, which means there are no flourishes in the software or any additional bloatware (other than Google apps). It’s uncluttered and easy to use. Performance is solid, with the Snapdragon 636 processor powering this phone with 4GB of RAM. We had no trouble running our usual suite of apps, though performance can dip from time to time when you try to juggle multiple apps at the same time or play graphics-intensive games. The camera is quite capable too, producing photos worth sharing on social media, though you often need to stay very still to make sure it’s not blurry due to the lack of optical image stabilization. The biggest downside of this phone is that battery life may not last you a full day, but only with heavy use. With medium to light use, we usually managed to hit 40 to 35 percent by 6 p.m. There may be a few compromises, but this is absolutely the best phone you can buy if you’re restricted to a $350 budget. 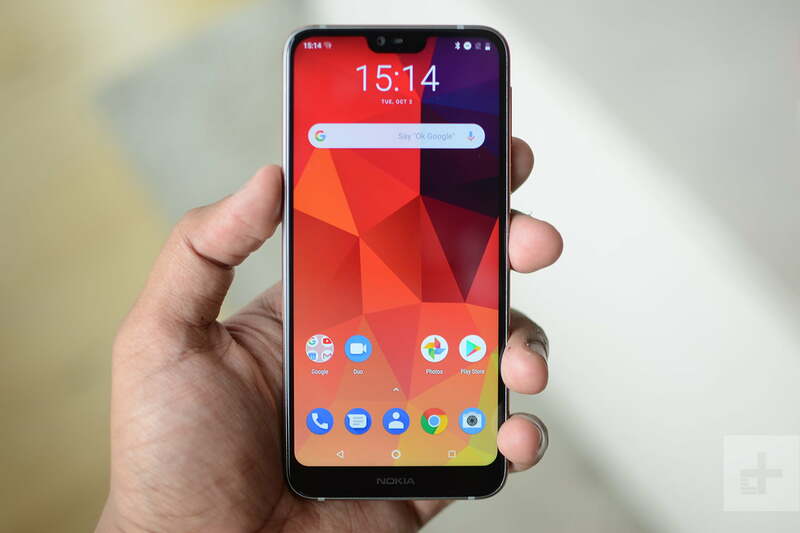 Why should you buy this: The Nokia 6.1 is a great, cheap Android phone with solid specs and a decent display that won’t let you down. Who’s it for: Pure Android fans on a budget who want substance with style. The Nokia 6.1 has a durable, chunky metal body that’s elevated by eye-catching anodized copper, iron, or gold accent lines, depending on the color you pick. It has a satisfying heft and feels more expensive than it is, though the big bezels around the 16:9 display do make it feel a bit dated. 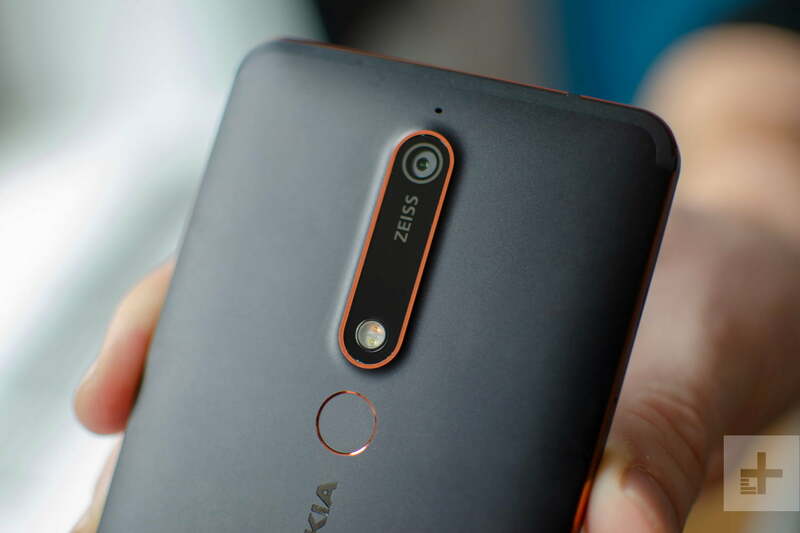 You’ll find a 5.5-inch IPS LCD screen on the Nokia 6.1, with a resolution of 1,920 x 1,080 pixels. It’s a little dull, but perfectly legible in most conditions and good enough for the price. The processor is a Qualcomm Snapdragon 630, which performed well in our testing. That’s backed by 3GB of RAM and 32GB of storage or 4GB of RAM and 64GB of storage. 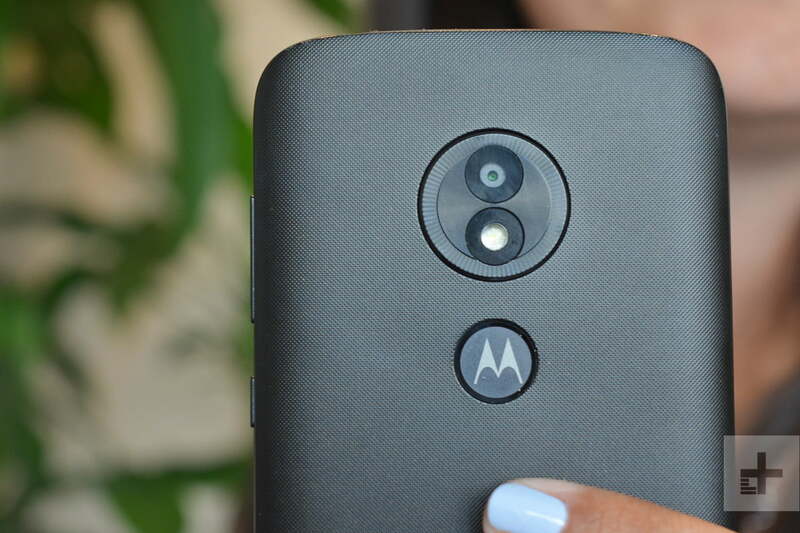 The Moto G range has been our go-to budget smartphone pick for the past few years, and while Motorola is facing more competition every year, the Moto G7 is still excellent value for the money. You’re likely to get better software support from HMD Global, but the Moto G7 still offers solid performance, a dual-lens camera, and an attractive curved glass design. The Moto G7 has a bigger screen than the Nokia 6.1, boasting a 6.2-inch display with a 2,270 x 1,080-pixel resolution. There’s a 3,000mAh battery inside, which should last a full day, but if you’re really after better battery life, try the Moto G7 Power, which offers a whopping 5,000mAh battery and costs $250. Like most budget phones, the camera is a bit of a weak link, but the 16-megapixel lens with an f/2.0 aperture and Zeiss optics is capable of capturing occasionally great shots — if you’re in good lighting. Low-light and night shots are generally poor, and there’s no dual lens for that coveted bokeh effect. The front-facing camera is rated at 8 megapixels and can capture wide-angle shots for group selfies. A 3,000mAh battery provides enough power to see you through a full day, and there’s a fingerprint sensor on the rear. One of the best things about the Nokia 6.1 is the complete absence of bloatware. As an Android One phone, there is no manufacturer “skin” or theme cluttering up the user interface. You can also expect speedy, long-term software updates, which is a rarity for budget phones. You will also find NFC, offering support for Google Pay, which is another common omission at the budget end of the market. There is also support for Bluetooth 5, but the Nokia 6.1 does lack water-resistance. Overall, it’s a terrific phone for the money. Why should you buy this: The Moto G7 Play boasts great performance and loads of stamina. Who’s it for: Anyone with a strict $200 budget seeking the best for their money. When top-of-the-range phones reach $1,000, paying $200 for one must mean it’s rubbish, right? Wrong. You can actually pick up some impressive devices in this price range now. Motorola has consistently turned out great budget devices that give you real value for the money. For your $200, you get a 5.7-inch screen with a 1,512 x 720-pixel resolution, a speedy Snapdragon 632 processor with 2GB of RAM, and a 3,000 mAh battery that offers impressive stamina. There’s also a 13-megapixel main camera, which isn’t too bad unless there’s a lack of light, and an 8-megapixel front-facing camera. The affordable Nokia 3.1 Plus boasts great build quality and battery life. There’s a big, 5.99-inch screen with a 1,440 x 720 resolution, a dual-lens camera, a 3,500mAh battery, and support for NFC. It also has near -stock Android, though it’s sadly not part of the Android One program. Unfortunately, performance isn’t great, with a Qualcomm Snapdragon 439 processor and 2GB of RAM. We also felt let down by the camera, and this phone is only available on Cricket Wireless. The performance is one of the highlights, almost matching the much more expensive Moto G7. There’s also a USB-C port for charging, which means the cable is always the right way up. It comes with Android 9.0 Pie and a few Motorola extras and is due to get an update to Android Q, though we doubt it will get anything beyond that. Naturally, there are compromises here. There’s just 32GB of storage, though it does have a MicroSD card slot. It also has a plastic back, a big notch, and there’s no support for NFC. Having said all that, it’s a good option if your budget won’t stretch any further. Why should you buy this: The Moto E5 Play is ultra-affordable, and it still provides a perfectly satisfactory smartphone experience. Who’s it for: Those who want a phone capable of texting, calling, web browsing, and running social media apps without paying more than $150. The Moto E5 Play is the most affordable phone Motorola offers, which means you have to accept a few compromises. For example, this phone won’t get updated to the upcoming version of Android, and the camera isn’t strong. The Snapdragon 425 (or 427 depending on the carrier) and 2GB RAM do a good job of offering manageable performance — enough to scroll through apps like Instagram and Facebook without too many problems. There’s 16GB of storage on board, but a MicroSD card slot lets you add more if you need it. There’s also a headphone jack and a fingerprint sensor on the rear (though some carriers have models without fingerprint sensors). The software experience is very close to stock Android without a lot of bloatware, running Android 8.0 Oreo. There’s a 2,800mAh removable battery inside, and we found that it got through about a full day of use. It can stretch to two days with light usage. The Moto E5 Play is available through a variety of different carriers such as Verizon, T-Mobile, and Sprint — though you can’t buy it unlocked yet — for as low as $70 (the price is even lower on other carriers if you sign up for a new service). We’re fanatical about our phones here at Digital Trends. Every phone we test serves as our main device for at least a week, often longer, so we can get a real feel for what life would be like living with it. We read on them, game on them, shoot video and photos, navigate, organize, and occasionally even make calls. Every facet is explored, every manufacturer claim is challenged, and we’re careful to take the intended audience and price tag into account when judgment time comes. Debates on the best phones in different categories are a regular occurrence and no one on the mobile team is shy about sharing their opinion. When we find flaws, we tell like it is. Ultimately, we’ll never recommend any phone that we wouldn’t be happy using ourselves. There is always something new and better just around the corner. If you’re content with the phone you have, then keep it, because the longer you wait, the better your choices will be. Having said that, we’re pleased to see budget phones making strides and if you buy today, you can expect to get at least a couple of years, maybe more, before you feel the need to upgrade.